If you’re comfortable with your doctor, you can usually get HIV and sexually transmitted disease testing anytime by making an appointment with them. If you’d prefer to receive testing from one of our trained counselors, we offer confidential HIV & STD testing at several locations around Boston. Visit Yourhealthboston.org for additional information on HIV and STD prevention and testing. There are many ways to give. 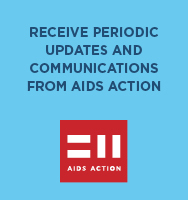 Please contribute what you can so we may continue preventing new infections, supporting those affected, and tackling the root causes of HIV/AIDS. To stop the epidemic and related health inequities by eliminating new infections, maximizing healthier outcomes for those infected and at risk, and tackling the root causes of HIV/AIDS.